According to the report of the American University of Illinois, small diameter ultra-fine particles are produced during 3D printing process. They can be deposited in the lung or directly absorbed into the bloodstream of the user, causing serious health problems. 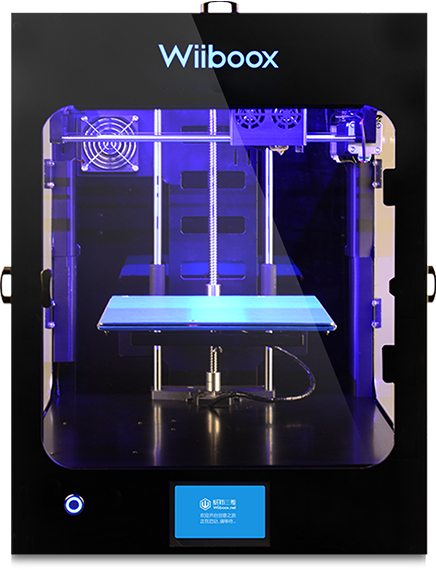 In view of the responsibility for users’ health, Wiiboox presents the world’s first desktop 3D printer with an ultra-fine particulate air filtration system. 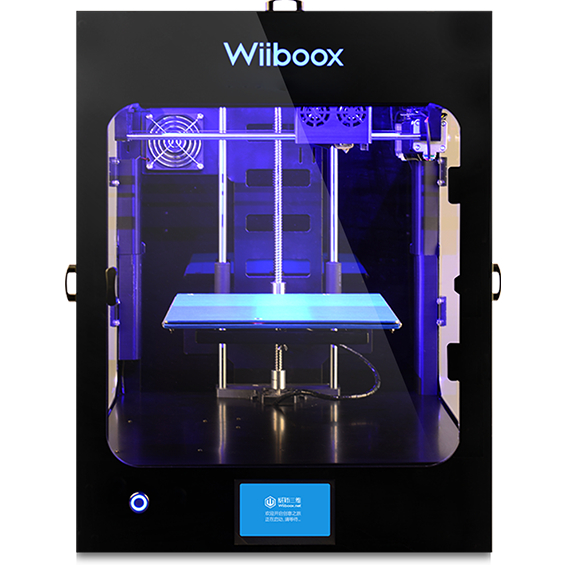 While ensuring high-precision printing, Wiiboox designs 6 protection measures meeting EU standards to protect users’ health, including radiation safety, circuit safety, lightning safety, material safety and product safety. Now Wiiboox has passed CE EMC, PAHs, REACH, LVD, ERP and ROHS tests. 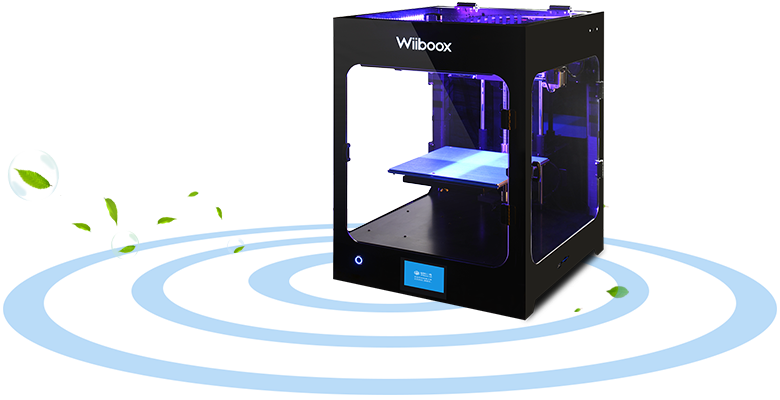 The last generation of MOSFET chip provides user stable and efficient 3D printing experience and makes WIIBOOX ONE a high precision 3D printer. While, the new generation of MOSFET chip plus new TOUCH technology makes WIIBOOX TWO more precise, more rapid and more convenient. When your fingertip touches the screen, the 3D printer gives you corresponding feedbacks. Isn’t it a beautiful experience? Therefore, we have changed the four button operation into a 4.3 inch touch screen. Start WIIBOOX TWO and you can fully enjoy the beautiful interactions from fingertips. 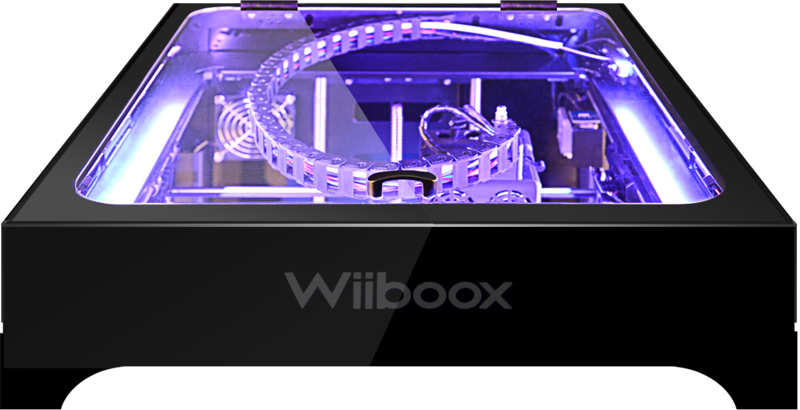 In order to integrate into the wireless world, WIIBOOX TWO has added a WIFI function. Now, a lot of operations can be done with a mobile phone. Install WIIBOOX APP now and you can enjoy the wireless world, transferring files, starting & pausing printing etc. without restraint by any cables. There’s nothing more frustrating than a sudden power failure. For example, you are printing a model needed 168 hours, and there’s 2 hours left now. 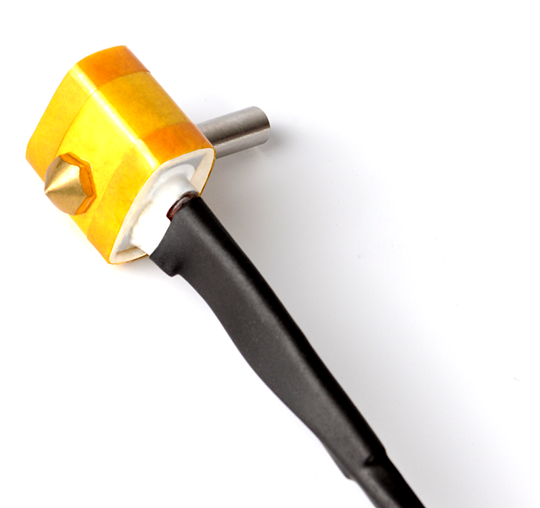 Suddenly, your 3D printer powers off because of a sudden power failure. All your previous efforts wasted and you can do nothing but just look helplessly at your half-printed model. Now, you don’t need to worry about it. Because with the built-in continuous-printing module, Wiiboox Two can save the printing data immediately, when you re-start your printer, it will continue printing.